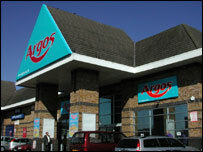 Retailer Argos has unveiled plans to create hundreds of jobs in a County Durham town. The company plans to build a distribution centre on the Faverdale Industrial Estate, in Darlington, for its home delivery service. The 730,000 sq ft development would create 700 jobs and include car parking for 500 vehicles. The new jobs will range from administration and IT work to warehouse driving and maintenance. Darlington Council leader John Williams said it was fantastic news for the town and the area which has suffered job losses in the last year. In February, engineering firm Cleveland Bridge announced a quarter of its workers were to lose their jobs following increasing foreign competition. Mr Williams said: "We are obviously over the moon. It's not every day, or every month or every year that we get a major retailer like Argos coming to Darlington and creating 700 jobs. "And particularly with some of the bad news we have had in recent weeks and months, it is a real fillip after all of that. "I think something that is particularly pleasing to me as well is the fact that Darlington is riding the new technology wave here because, as I understand it, it will be Argos Direct and people will be ordering their stuff from Argos over the Internet which is the coming way to shop so it is obviously going to be a growth industry." Mr Williams said attractions had been that there was land of the size needed in the town and its transport links. He said he hoped most of the new jobs would go to local people. He said they would be looking at the issue of possible congestion on the A68 where new homes are being built.